Learn the Chia Pet from Ann Connolly. 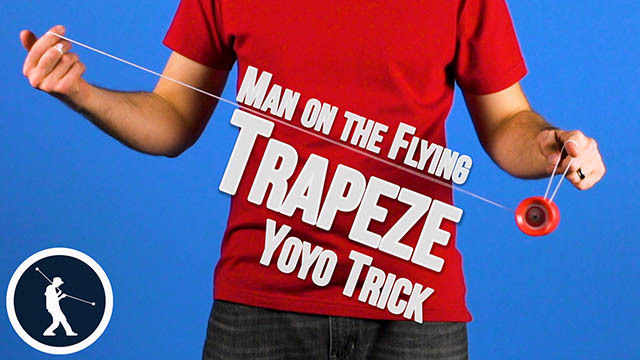 You first want to throw a trapeze. 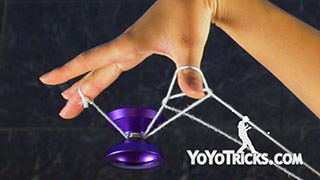 From here, you are going to pop the yoyo off while curling your index finger in to keep the string from falling. 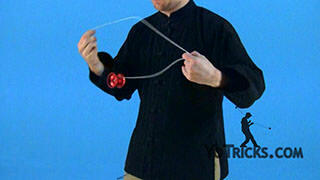 Here, you will mount the yoyo on the underside of the string twice while keeping your finger pointed inward. Then, you will take your throwhand and move it over your opposite arm and under while moving your non throwhand to the outside. Here you will dismount while placing the string on top of your thumb of your non throwhand. This dismount is not difficult to understand, but because of the placement of your finger, it might be a bit tricky at first. 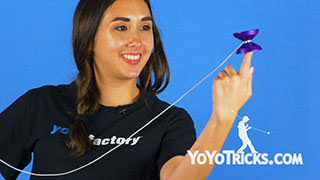 You want to take the string coming off of your yoyo finger and place it onto the yoyo. From here, you will transfer the slack onto your opposite elbow. Then, you are going to do a Zerber, where you are going to take your index finger from your throwhand and go underneath and around the yoyo. Here, you will move your opposite hand in front of your throwhand while your throwhand goes inside the loop. Then, this loop will move up your arm, past your elbow. Then you will feel this string fall off your elbow at the same time. Next, you are going to pop the yoyo off the string, forward, while pulling the string with your index finger on your non throwhand. 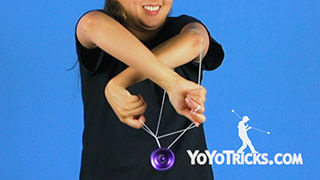 You will then swing the yoyo over the kink and land on that string. 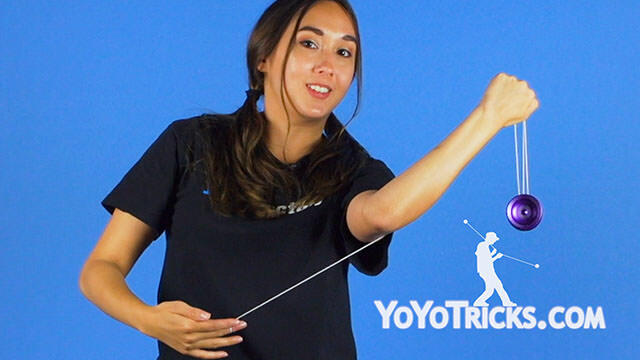 To finish the trick, you are going to tunnel the string down your arm. 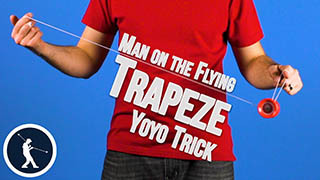 Pop the yoyo to the inside, do a jump rope, and recapture at the same time. Then, you are going to bind with style. And that is how you do Chia Pet.